Bye-Laws for the use, operation, protection , regulation and management of Nenagh Town Park were passed by Tipperary County Council at the November meeting of the Nenagh Municipal District. The Bye-Laws come into force as of 10.00 a.m. on Monday 1st December 2014. 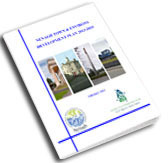 Tipperary County Council is pleased to give you a copy of its new Tenant Handbook. As your landlord, Tipperary County Council is taking this opportunity to remind you of the wide range of services available to you as one of our tenants. From 1st June 2016 new Bye-Laws apply in the town of Nenagh in respect of pay-parking. Water Safety Week July 1st - 5th (5pm-7pm) forms available at the pool. Tipperary County Council Environment & Climate Action Section in association with the EPA installed an Air Monitor at Castle Cresent, Nenagh recently.